Ancient oaks and high enclosing walls keep the extremes of the Cumbrian climate out of the garden, resulting in a spectacular display of shrubs, roses and herbaceous borders. 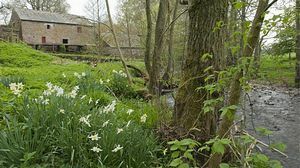 Orchards contain a variety of traditional fruit trees and the famous herb garden is the largest collection of medicinal and culinary plants in the north of England. 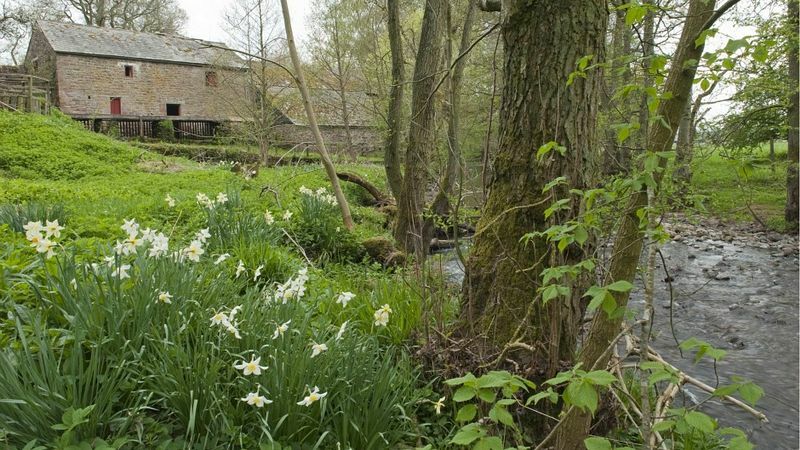 A circular woodland walk runs along Crowdundle Beck to the partially restored Acorn Bank watermill, which is open to visitors. The house is not open to the public, though parts of it are available as holiday cottages.